Providing safety, security and peace of mind in every company and home. Alertline Monitoring can provide the most discreet, compact intelligent personal GPS Locator on the market to suit all needs and requirements, tied to an intuitive satellite locating system, this is an invaluable piece of equipment to enhance your personal security needs, being a must in every business, industry or home. 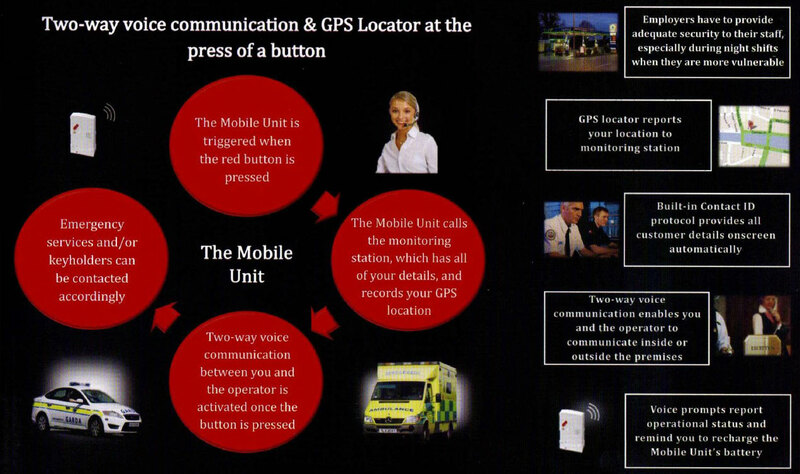 The s-911 Personal Locator is an ideal solution for lone workers, people carrying large sums of cash or valuable items, anybody faced with potentially violent or intimidating situations such as verbal or physical abuse, accidents or dangerous occupations or environments with a risk of physical danger.